Are you ready to take over Los Santos? Rockstar has released by far the most beautiful, expensive and generous GTA game made until the present. Let’s not forget the nastiest as well. Either you are playing with Michael, Trevor or Franklin, living three different life styles, every step you make on the streets of Los Santos will make you want to taste more of everything this game has in storage for you. It’s a game where you can walk calm down the street and in the next second you are near a robbery, a plane crash, a police chase, or anything that gets your blood pumping. 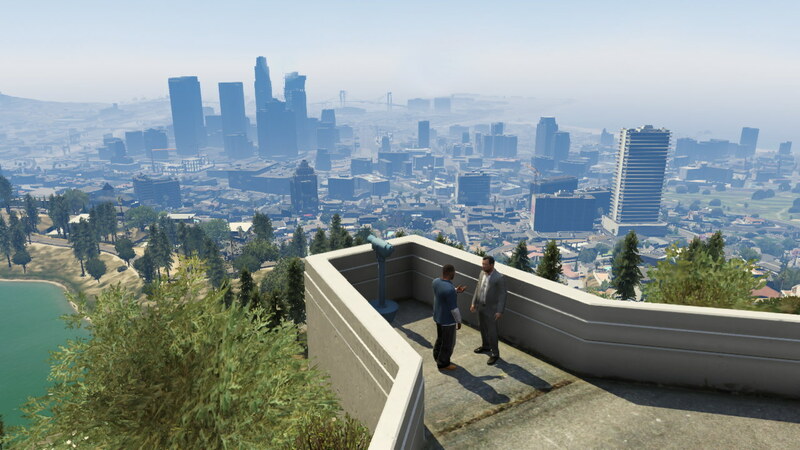 One of the most interesting facts in the new Grand Theft Auto 5 is the interaction between the player and the NPC. You can easily walk into a business while another NPC is robbing it. This fact gives a dynamic gameplay in which the player can never say he has done the same kind of job twice. You can make a smooth job at the street corner market and run off to robbing a bank, where you find that there was already a smarter guy who did the job you were looking for. You have the freedom of being able to switch between characters at any point in the game. The game uses a Google Street View-style system. You have the ability to zoom the map out in stages, move to the character you want to play as and zoom back in on the selected character. Even though it takes a few seconds to switch between characters out in the open world, when it comes to switching during missions, it’s instant.. Character switching during missions can take place during a cut-scene, or during gameplay – either triggered automatically or manually by the player. It will vary from mission to mission. You can either play with Trevor, an ex-army pilot, who used to work criminal jobs with Michael before the events of GTA 5 kicked off, or with Michael himself, a middle-aged former bank robber, unhappily married, who only finds joy in drinking bottles of whiskey. Getting bored of the life he has, he gets back into the nasty stuff he used to do in the good old days. 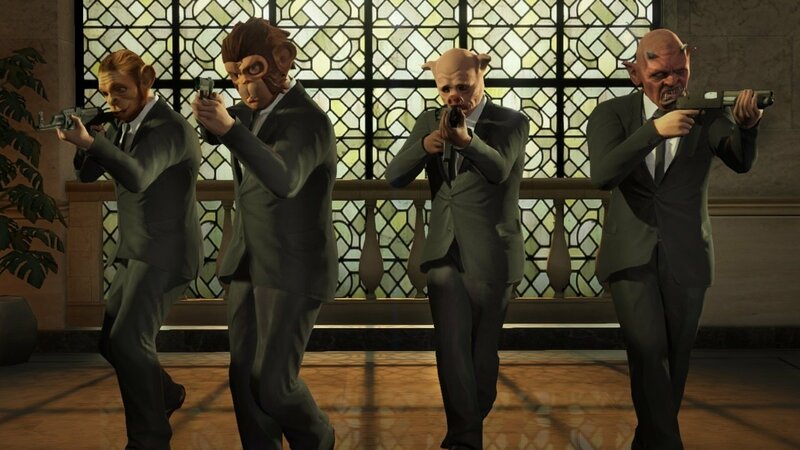 You also have the chance of playing along with Franklin, who used to do legal work for a car dealership run by Simeon Yetarian but thought that easy money comes from committing a crime. His day job is what brings him to meet Michael. You have the ability to customize each character, either you want to put a new tattoo on his skin, or get him a new haircut along with a fancy suit or any type of clothing. Each character has his own special ability: Franklin steers around corners in slow-mo, Michael has a bullet-time variant and Trevor can do double damage. If you are tired of going to pay for some “love” from a woman at a street cornet you can try your chance with Michael’s wife Amanda who can be found on the game’s fake dating website. 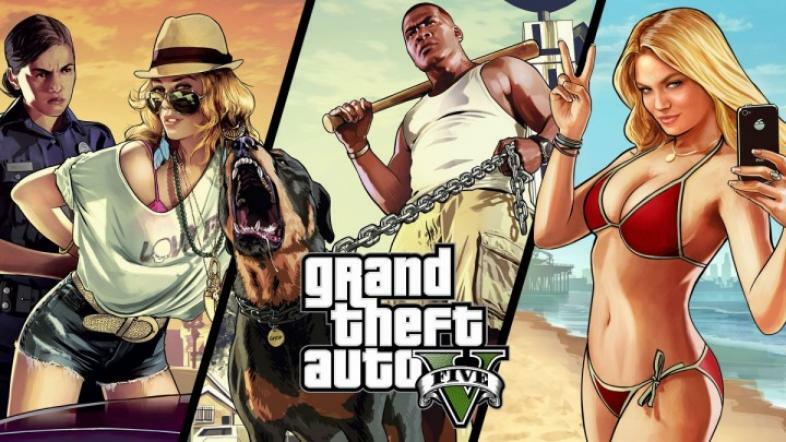 So either you want to have some fun with the casual “friendly” woman or go for something like good old Michael’s wife, GTA 5 is a game that puts in front of you all the bad habits that you hear about on a daily basis in the real life. The stars system for police returns. And this time when it comes to four stars, snipers come in so you better watch for some cover! Auto-aim isn’t as rigid at GTA IV but there will be variable options, including free aim, soft lock and hard lock. You can run and gun while maining control of the reticle. Weapons we’ve seen – sniper rifles, machine guns and sticky bombs. This will have the largest selection of weapons from any GTA game. If you’re up in the club trying to get a lap dance or just driving in an expensive car you’ve just bought or stolen you can listen to licensed music from artists like Warren G, Nate Dogg, Fergie and many others. The game brings you an almost real life experience that surprises you to the smallest details such as listening to you favorite track while robbing a bank or getting ready for the next hit in Los Santos. 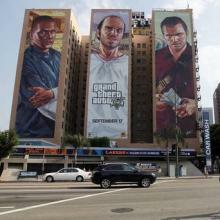 The latest GTA video game in the series has the biggest map in terms of Rockstar's video games. This map tops the size of Red Dead Redemption, GTA IV, GTA San Andreas combined. Rockstar has even revealed that the game map is even bigger than New York's Manhattan in real-life. A quick spot of research reveals their map sizes as 28, 6.8 and 13.9 square miles respectively, and so combined they total almost 49 square miles. It’s staggering to imagine that game worlds can approach anywhere near this size, and it gets even more impressive when you compare it to real-world locations. Ever dreamt of wondering on the streets of a huge city? Well get in your car and go off to visit the biggest city ever presented to you in a GTA game. Given the development time that goes into these games, usually double or triple that needed to make a blockbuster movie, it again perhaps shouldn’t be too surprising that costs are so high, but on the flip-side, GTA V is guaranteed to make that money back on launch day alone. Something tells me the game is going to make much more than just $1 billion regarding all the possibilities that it presents to the gamer. 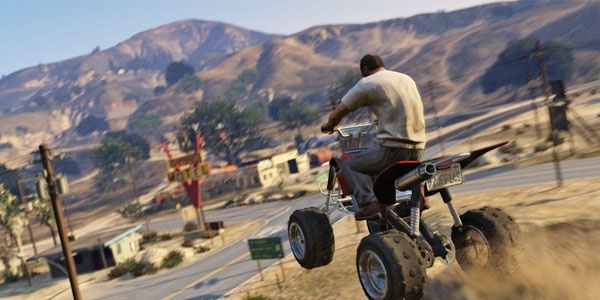 As crazy as it sounds one of the new aspects in GTA 5 when compared to the other video games in the series is that the 3 main characters cannot be killed. You can play each one at any given time and players can run into other main characters around the town. However, you won't be able to kill them. Instead if you keep following them, they will turn and knock you out. How does that sound? Knowing you can switch from one to another and even though the one you are using can die, the others defy death. It’s big news to no-one that the GTA franchise has pulled in huge sales figures over the past 15 years, but you might not have figured quite how many units have actually been sold out. Last year, Take Two Interactive revealed that the franchise has sold an incredible number of 125 million copies, making it clear that this huge wave is showing absolutely no sign of slowing down. This figure places it ahead of other great franchises like Call of Duty or FIFA, being topped only by Mario or The Sims.